when she’s not ten feet tall. Perhaps for Alice, when she’s just small. Interresting! Though we lack a bit of sense of proportions? Somewhere around one meter high. 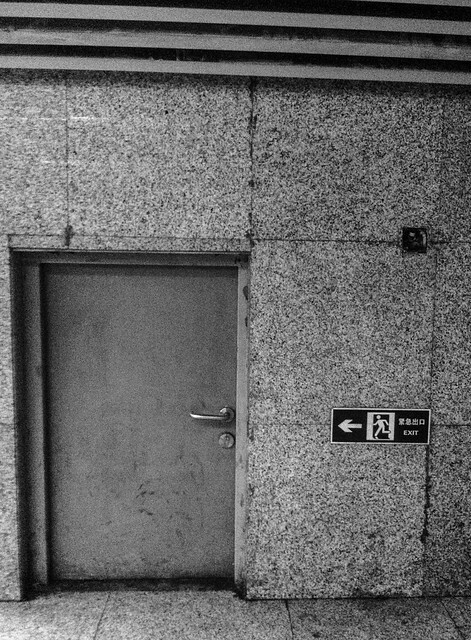 I think it is some sort of service door under a staircase. 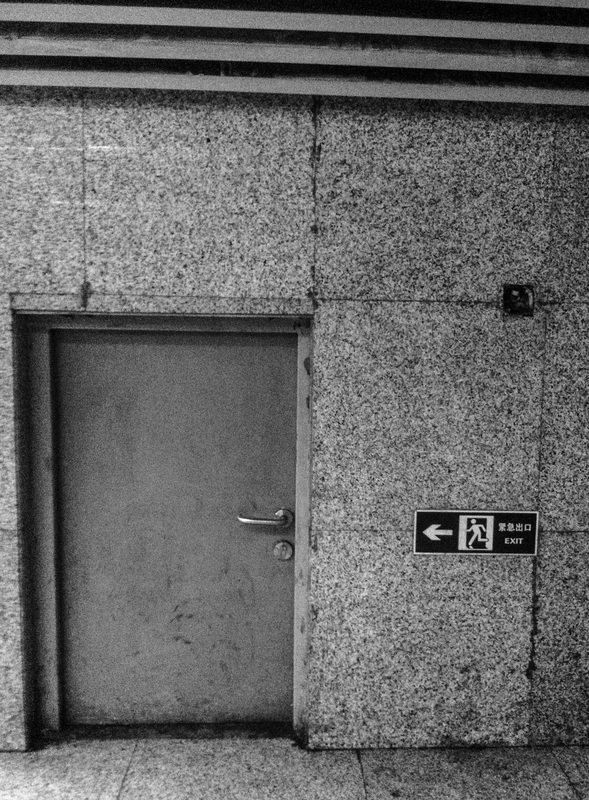 The exit sign is supposed to be directing people to the staircase, not this door.